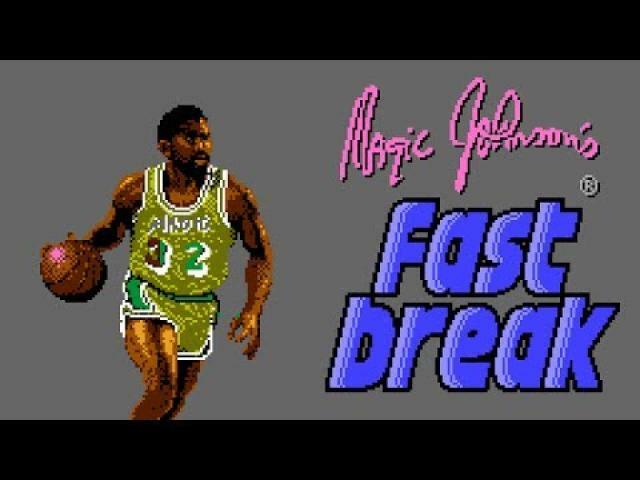 Magic Johnson's name has been attached to a trio of games over the years, with Omni-Play Basketball and Super Slam Dunk standing alongside this middle-of-the-road effort. It's not a bad basketball game as such, it's just a little lacking in the presentation stakes and pales somewhat in comparison to later efforts such as NBA Jam or NBA Live. It's not an overly detailed game but does make up for it providing some pretty fast paced fun, although it's likely to be forgotten quite quickly. 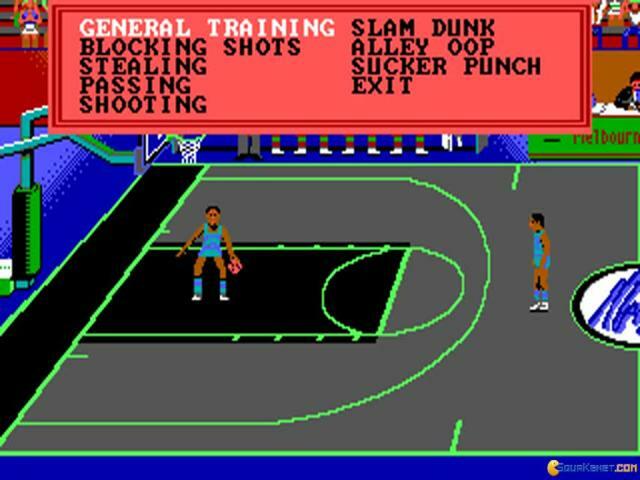 The main mode of gameplay on offer here is a two-on-two piece of slam dunking action, which ups the speed stakes quite considerably. 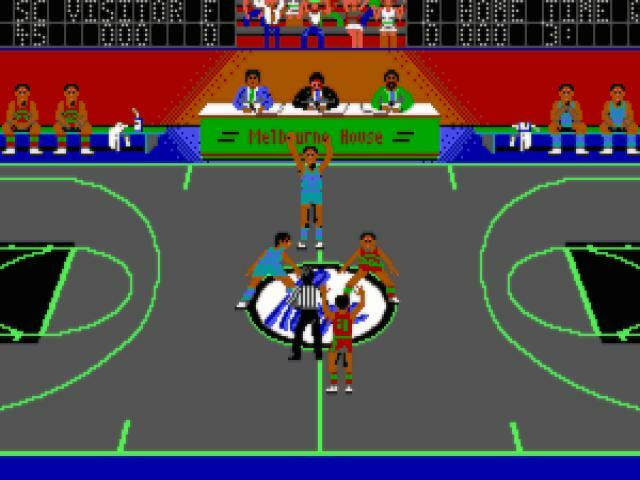 Each round lasts the usual three minutes and takes place on a side-scrolling full court. You can switch between players at will, simply with the touch of a button, while there are also options to play against up to three human opponents. 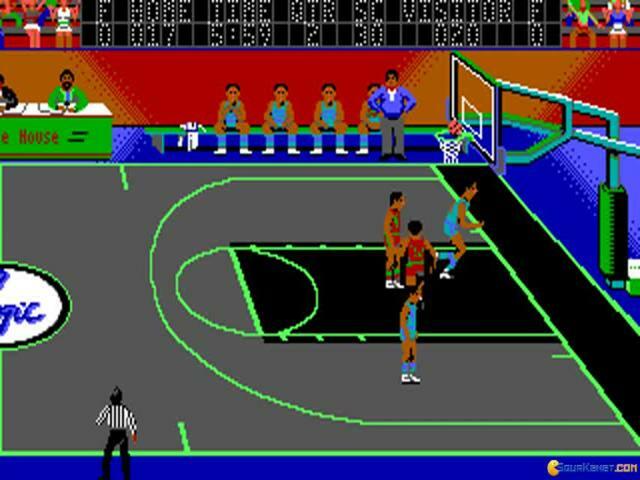 There's no management elements to speak of but your goal is to win enough games so that you can move up salary levels, although there's little real point to this, other than to act as a sort of replacement for a high score table. 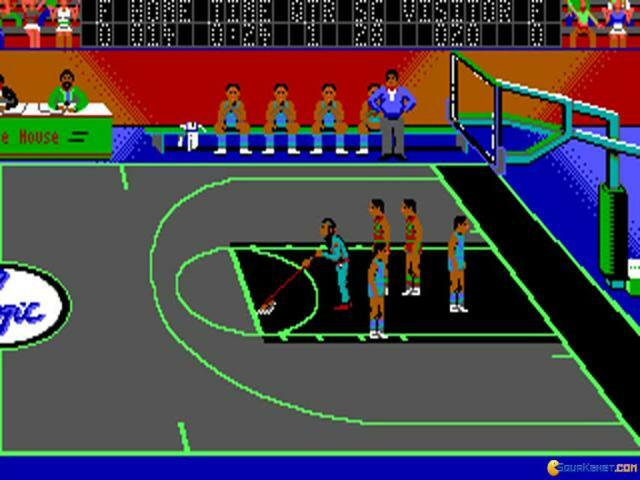 You have five difficulty levels to choose, which see you playing against faster, smarter teams but with the rewards getting increasingly higher. 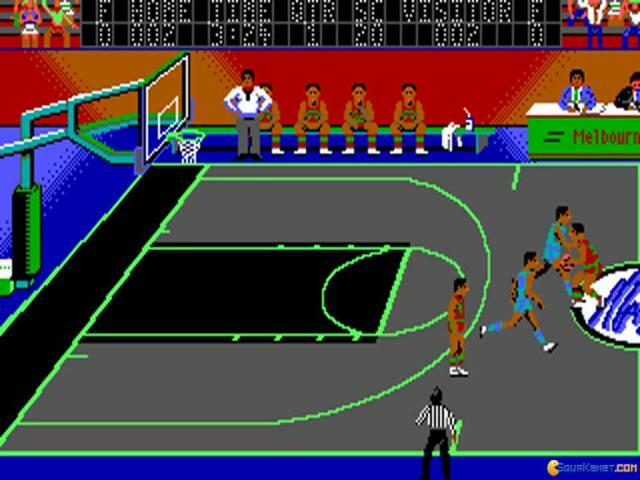 As far as simple, fast basketball games go, this is distinctly average stuff. 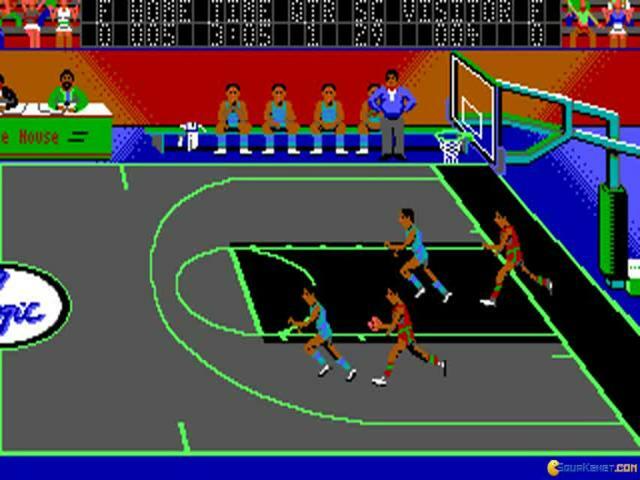 The visuals aren't bad but are a little lacking in personality, despite Magic's presence. It's certainly quite fun though and delivers a reasonable amount of high speed hijinxs. At the end of the day though, it just proves to be a little forgettable, making it fun for a brief time only. 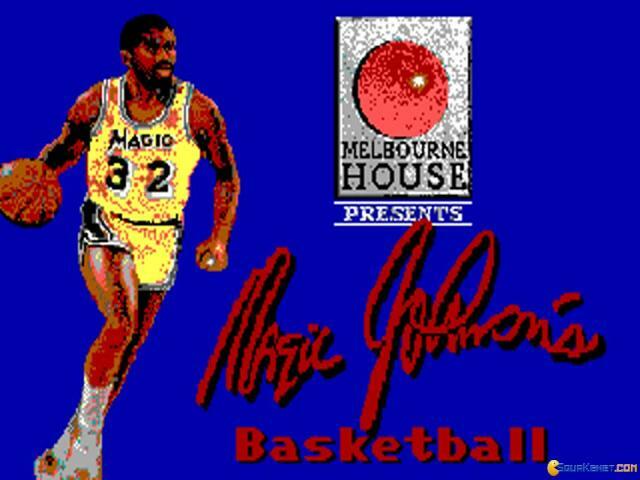 Having been released in 89, when a great basketball star such as Magic Johnson was still one of the greatest players out there, it put a lot of gist on selling the game as a magic Johnson kind of simulator, with the player heavily featured in adverts. However, have the game installed and you find that it barely is any different from games of its style, 2D top down, isometric basketball games. 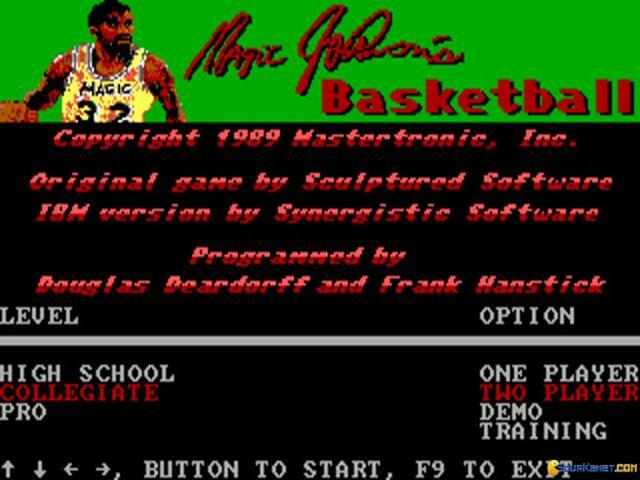 Thus, with its very arcade oriented construction, Magic Johnson's Basketball plays well, but it has little original material. 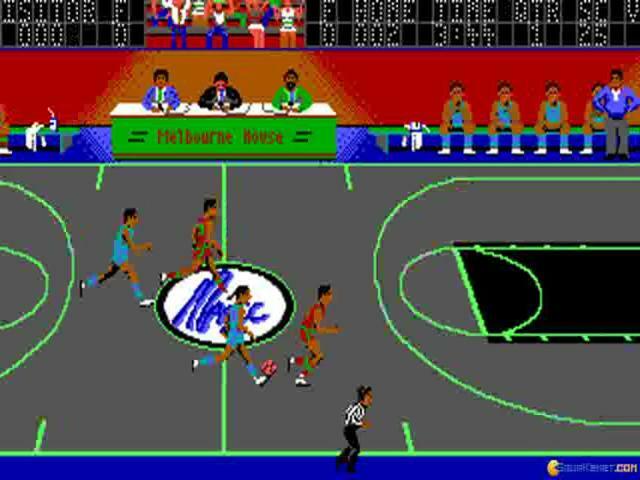 Indeed, of all the players, M.J. is definitely the best produced one, with really well done animations. 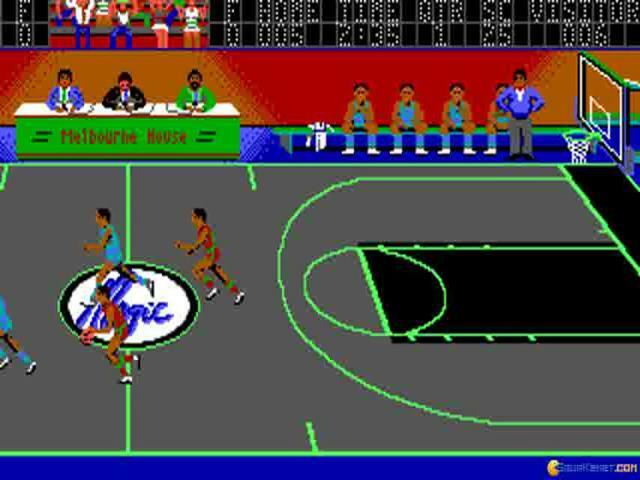 Also, what the game has, is a pretty great and satisfying hot seat multiplayer mode; and, given the rather stiff AI, Magic Johnson's Basketball is the better option to have, as long as you have an interest in such a production, and in the kind of build that Magic Johnson's Basketball will offer you. Similarly, you should also try Omni-Play Basketball, which shares a similar construction, and is, I'd say a tad more playable than this one.